The graveyard is full of history and worth of exploration in its own right. There is a medieval coffin near to the South door which may hve been the tomb of the founder Gospatric or perhaps the first priest. 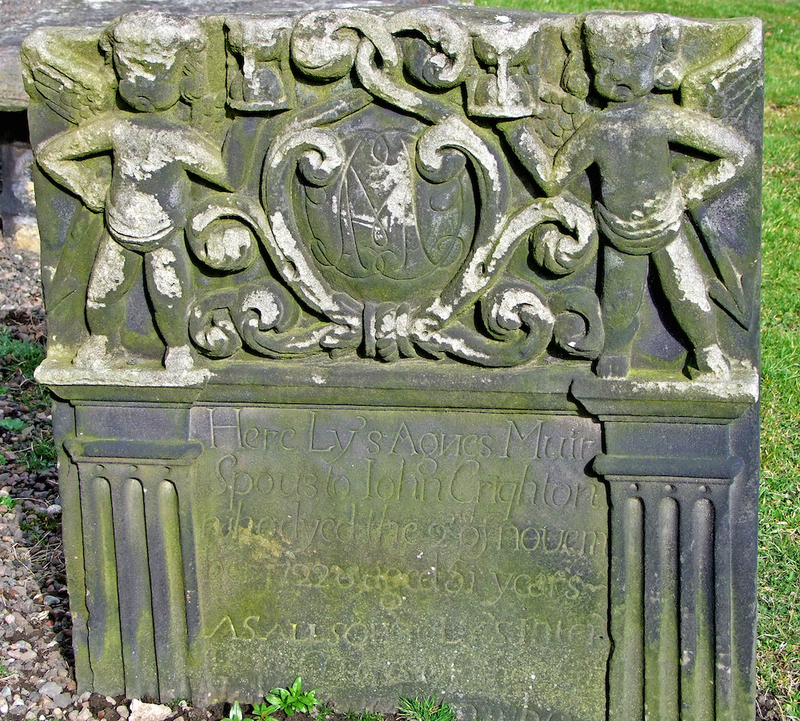 Excluding the medieval coffin the oldest stone in the graveyard is a tombstone dated 1669; inscribed with the initials WR MG. The stones in the graveyard preserve the names of some ordinary Dalmeny families. Many stones are richly adorned with carved symbols of death and ressurection or representing the crafts and trades of the deceased. The graveyard also contains the graves of several former ministers, schoolmasters and local landowners, including Dundas of Dundas, Stewart-Clark of Dundas and Stewart of Newhalls. The Rosebery family are intered in their family vault. 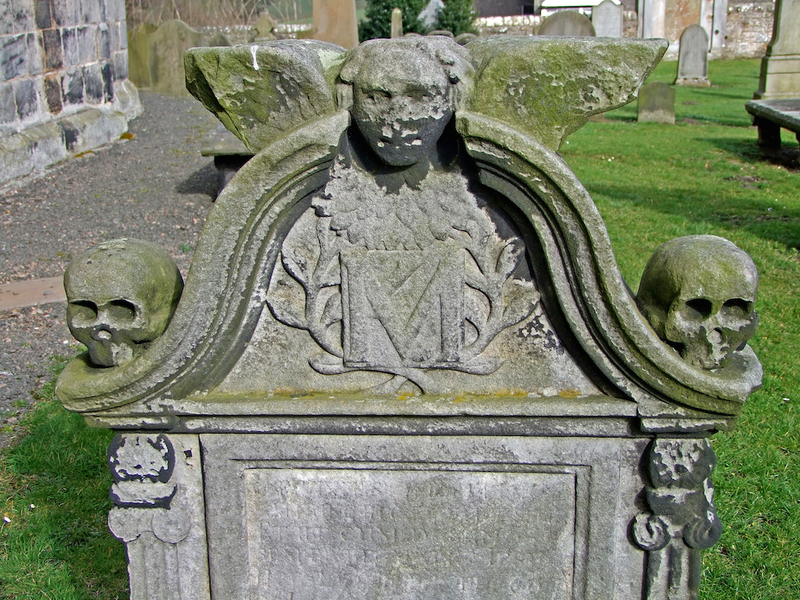 A list of grave monuments with photographs can be found at the Gravestone Photographic Resource site.